While the founding father may have been spot-on in his quote about the newly drafted U.S. constitution and the permanency of our newly established government, the complexity and effectiveness of those taxes is something that has been debated for centuries. The legislative agendas from five of the largest multifamily housing industry organizations have targeted tax reform as an issue of primary concern for 2014. 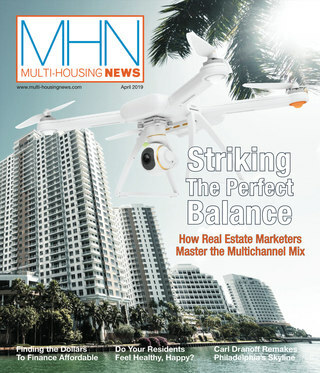 While the rank of importance of agenda items vary from organization to organization, there are some common items within tax reform that several organizations shared, and the one overlapping issue across all five interviewed is the push for the retention of the Low Income Housing Tax Credit (LIHTC), which is designed to encourage investment and development in affordable multifamily housing with added economic boost of job creation and an expanded inventory of low-income units. Beth Wanless, senior manager of government affairs at the Institute of Real Estate Management (IREM), notes that the tax credit’s success has led to the creation of more than 2.6 million affordable housing units since its inception in 1986, and that if the credit were to be eliminated, it could lead to the disappearance of more than a million LIHTC units of affordable housing stock by 2020. “There is still a shortage of affordable housing units; therefore, it’s important we focus on securing this tax credit for the future,” she says. Greg Brown, vice president of government affairs at the National Apartment Association (NAA), said at press time that the organization was still “in the midst of determining [its] legislative priorities for next year,” but anticipated that its priorities for 2014 would likely be agenda items that carried over from 2013 including tax reform, housing finance reform and immigration. Last year, NAA told MHN that its top priority was tax reform. Cindy Chetti, head of government affairs at the National Multi Housing Council (NMHC)—which works closely with NAA—says that tax reform is at the top of the list of items they are watching this year and that “the Low Income Housing Tax Credit Program is important to many of our members.” She also cited carried interest and the estate tax as important factors of tax reform that NMHC is tracking. While the LIHTC may seem like an easy target for tax reform advocates, Michelle Kitchen, director of government affairs at the National Affordable Housing Management Association, says that it is irreplaceable at the moment. With the anticipation of a tax reform draft from Sen. Max Baucus, D-Mont., sometime in November, organizations are keeping tabs on wording that targets carried interest. Proponents for the increase of carried interest might argue that it will level the taxation playing field for Wall Street hedge fund managers; however opponents in the multifamily industry say that an adjustment would deliver a blow to the recovering housing industry. Tobin agrees and says that NAHB is monitoring any legislation that would alter carried interest, which he says is a target because of its use by “hedge fund guys” to essentially make more money and pay less taxes. While Chetti cited carried interest as being a concern of her organization, she says that NMHC along with NAA have partnered up to educate organization members and policy makers about multifamily industry-related issues that could stem from housing finance reform. “Our biggest roadblock is ensuring that members are educated about the multi- housing industry and that goes for both tax reform and housing reform,” she says. Within the context of a one-size-fits-all GSE/housing finance reform option, NAA’s Brown says that the multifamily industry struggles to distance itself from its single-family counterpart, which can sometimes hinder lobbying efforts. With regards to housing finance reform, Tobin says that NAHB has worked closely with NMHC and the National Association of Realtors (NAR) to provide lobbying and congressional testimony to work on getting more private capital into the hands of those entities. 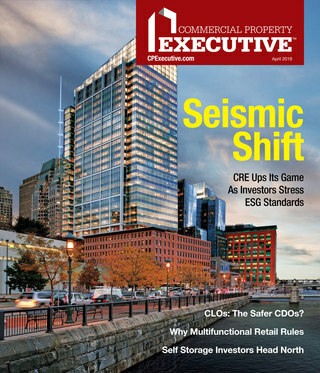 “Getting the GSE structure out of the unilateral hands of the director and letting congress work its way through all the nuances of putting more private capital back into the housing finance system and creating an explicit limited federal guarantee for the mortgage backed security system is absolutely vital to the multifamily industry, and it’s something we’re working hard on day in and day out,” he says. On the affordable housing front, aside from preservation of the LIHTC, NAHMA’s 2014 legislative agenda will focus on sequestration impacts on the industry, issues pertaining to Section 8 contract funding, specifically, working to reverse the short-funding approach HUD has adopted as a result of dwindling government money. Additionally, it aims to restore funding to Rural Renters Assistance subsidies and passing comprehensive pragmatic rental assistance reform. Kitchen says the short funding tactic is disruptive, inefficient and a byproduct of sequestration cuts. Another hot-button issue that some of the organizations are targeting is immigration reform and how it relates to the health of the multifamily and construction industries.